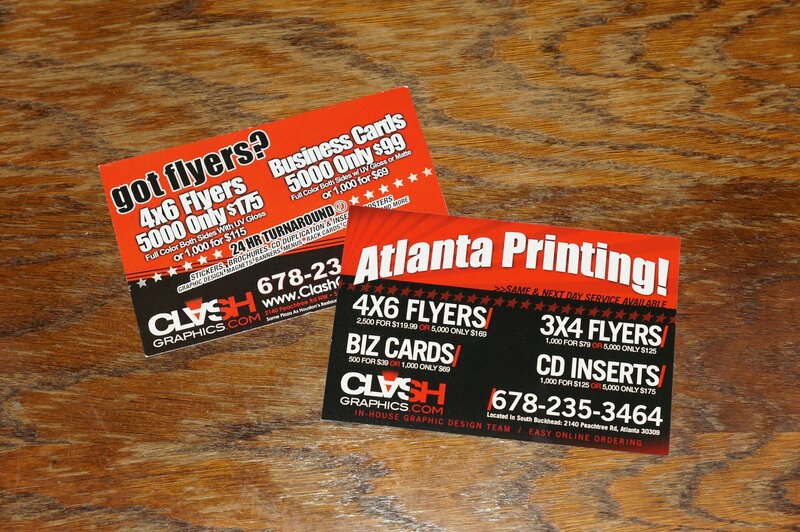 Clash Graphics Print shop offers same day printing services, business card printing, graphic design and flyer printing in Atlanta. Clash Graphics is an affordable and reliable printing company in Atlanta. Call or stop by our print shop in Atlanta to fulfill your printing needs.